Want to save money using Uber? You might want to start using an American Express card instead of any other debit or credit card. The two firms announced a partnership on Monday in which Uber riders can earn American Express points with Uber, and then spend those points on rides in the future. The deal isn't only good for consumers who hold personal Amex cards, but also for businesses whose employees frequently travel and use Amex — it's just another incentive to choose Uber over a cab. Uber said Amex card holders enrolled in the Membership Rewards program can 2x the points when spending money on an Uber ride. If you have a $40 Uber ride, for example, you'll earn 80 points. 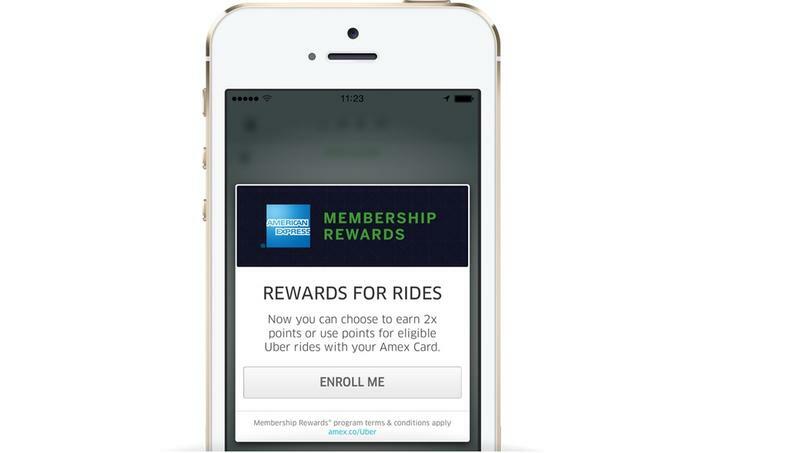 According to Re/Code, which spoke with American Express, an Uber ride will typically set you back about 2,000 Amex points — a lot, no doubt, but you can earn points on anything, not just Uber rides. For frequent travelers or folks who love to earn points everywhere they go — including our own editor-in-chief Sean Aune — this is a pretty solid service. Uber has expanded incredibly quickly over the past several years, and it's continuing its fight for new customers not only from existing cab companies, but also from competitors like Lyft. The loyalty program should help distinguish it even further from its competitors.